The Acting Legal Adviser of the Department of State and the Washington Foreign Law Society are pleased to honor the French Republic based on its commitment to the rule of law and its continued partnership with the United States in combating terrorism, countering violent extremism, and addressing some of the toughest challenges in the world. Richard C. Visek joined the Office of the Legal Adviser in 1999 and became a Deputy Legal Adviser in 2011 and the Principal Deputy Legal Adviser in 2016. He previously served as the Assistant Legal Adviser for European and Eurasian Affairs and as the Assistant Legal Adviser for Employment Law. 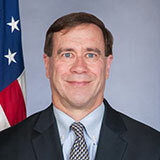 Prior to being promoted into the Senior Executive Service, he served in L offices advising on issues related to law enforcement and intelligence, appropriations, and legislation. Before joining the Office of the Legal Adviser, Mr. Visek worked at the U.S. Department of Justice and at the law firm of Hogan & Hartson in Washington, DC. He received his BA from Stanford University, his JD from Georgetown University and his LLM from Cambridge University. 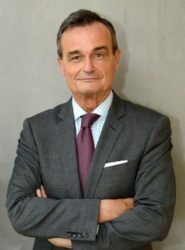 Gérard Araud, 63, a career diplomat, was appointed Ambassador of France to the United States in September 2014. He previously held numerous positions within the Ministry of Foreign Affairs and International Development, notably including that of Director for Strategic Affairs, Security and Disarmament (2000-2003), Ambassador of France to Israel (2003-2006), Director General for Political Affairs and Security (2006-2009), and, most recently, Permanent Representative of France to the United Nations in New York (2009-2014). He has written numerous journal articles, including recently in ‘’Commentaire’’, two on the outbreak of WWI and one on the French foreign policy between 1919 and 1939, and another in ‘’Esprit’’, on the search for a new world order. He is working on an article on the treaty of Versailles.